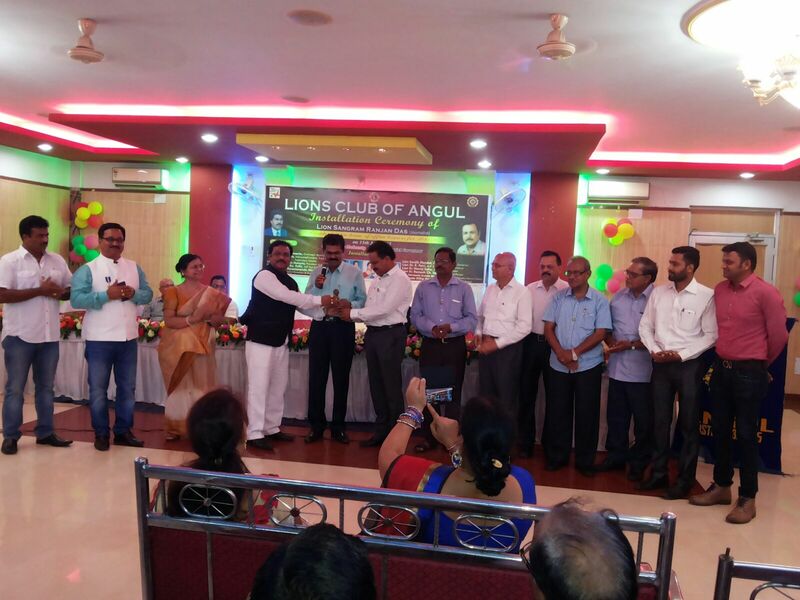 The history back in 1984, sharing a core belief to serve the community Lions Club of Angul was founded on 25.06.1984 with 20 members headed by Ln.V.K.Talwar as the founder president. Very soon the club got recognized by the Lions Clubs International, the world’s largest service club organization on 23rd. Sept 1984. Stepping ahead in course of time, volunteering for different kinds of community projects as eradication of blindness, caring for the environment, feeding the hungry and aiding to the seniors and disabled etc. in the society we are now fortunate to have 55 members with us in our club. Through organizing vision screenings, establishing well equipped Eye Hospital ALOK, free health checkup camp and distribution of medicine at remote villages, helping at natural disasters by providing for immediate needs etc. and many more the club has created its own stand as one of the leading club in the District and also proven the same by promoting Lion. Pravat Palit,MJF & Lion Paramananda Mishra,MJF from our members as the District Governor to the Lion District 322 C2 and 322 C5 for the sessions 2007-08 & 2013-14 respectively. We also support local children and schools through mentoring in distribution of study materials, awarding to through competitions, free health checkup of children, plantation in schools etc. As challenge of the current year 2015-16 as promised by our Club President Lion Sangram ranjan Das the Club has taken misson to complete the ALOK Eye Hospital new building at the earliest. We are proud to continue with 1.35 million members in more than 45,000 clubs spreading over more than 206 countries and geographical areas to help our communities with motto that “We Serve”.